The European Commission’s Scientific Committee on Health, Environmental and Emerging Risks (SCHEER) yesterday (30 November) concluded that ultraviolet radiation, including those emitted by sunbeds, was “a complete carcinogen”. The news shocked EU policymakers in Brussels who take the issue “very seriously”, euractiv.com has learned. A European Commission Spokesperson told EURACTIV that there was strong evidence that using sunbeds increases the risk of skin cancer and that there is no proven safe limit for exposure to UV radiation from sunbeds. “The Commission will work together with member states to ensure that users of sunbeds are aware of the risks they take when using sunbeds and make a responsible decision, and will assess with member states if further steps are needed,” the EU official noted. Early this year, the European Commission announced that the Scientific Committee on Emerging and Newly Identified Health Risks (SCENIHR) had published a preliminary opinion on the biological effects of ultraviolet radiation caused by sunbeds for which it opened a public consultation asking all interested parties to share their views. 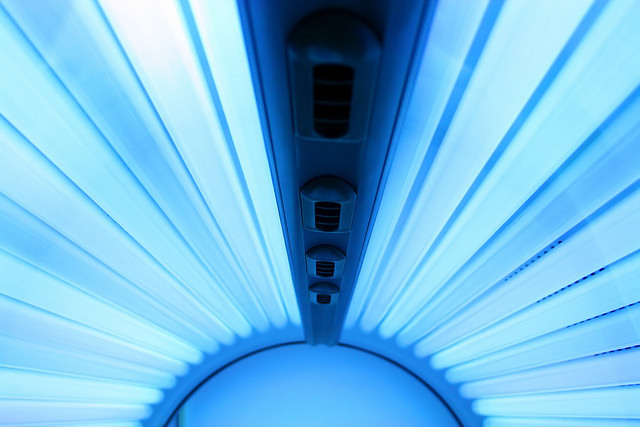 The preliminary opinion concluded there was “strong evidence” that sunbed exposure causes skin cancers, and “moderate evidence” that it “may also cause ocular melanoma”. 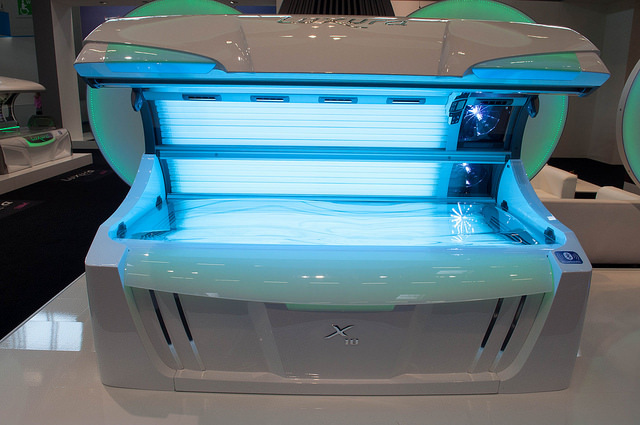 “Sunbed use is responsible for a noticeable proportion of both melanoma and non-melanoma skin cancers and for a large fraction of melanomas arising before the age of 30,” the preliminary opinion said. The use of solarium sunbeds in the EU has raised scientific concerns in Brussels, which is in the process of identifying its potential health risks. The final opinion of the Scientific Committee did not change. “UVR, including UVR emitted by sunbeds, is a complete carcinogen, as it acts both as an initiator and a promoter,” the final opinion concluded. The Committee said there was strong evidence that exposure to UVR, including that emitted by sunbeds, causes “cutaneous melanoma and squamous cell carcinoma at all ages and that the risk of cancer is higher when the first exposure takes place in younger ages”. An increasing number of EU citizens, mainly young people and females under the age of 35, use sunbeds for aesthetic reasons or to boost vitamin D.
But the Committee said “the beneficial effects of sunbed use, such as generation of vitamin D, are outweighed by the adverse effects”. “There is no need to use sunbeds to induce vitamin D production because alternative sources of vitamin D are readily available,” the committee said. Véronique del Marmol, professor of dermatology at Brussels Free University (ULB) and board member of the European Academy of Dermatology and Venereology (EADV) said the opinion supported the academy’s long-standing position that sunbeds are dangerous and cause skin cancer. “We welcome it and look forward to seeing what the Commission is planning to do now that is clearer than ever that certain legislative measures need to be taken,” she told EURACTIV. “It’s time the European Commission takes the health and safety of consumers seriously”. She said it was time for the “big tan” industry to unequivocally admit that sunbeds cause skin cancer, and take necessary precautionary measures with their clients. “They can’t anymore keep claiming that these are safe products. This industry’s similarity with the tobacco industry is stunning. The latter spent decades in denial about the causality between smoking and lung cancer. The indoor tanning industry is following in their footsteps and they still claim that sunbeds are safe,” she said. According to the dermatology professor, policymakers in national governments and the European Parliament should look into the issue seriously and put pressure on the Commission to act and protect consumers. Frank Harbusch, secretary-general of the European Sunlight Association, said he thinks the opinion is biased. “Actually, given the composition of the working group, we are not so surprised that the preliminary opinion has not been changed much,” he told EURACTIV, adding that one big difference, at least when reading the abstract, is that “SCHEER admits that sunbeds cannot be the only source for skin damage, but it could also be outdoor UV”. He also noted that in the conclusion SCHEER states that there is no safe limit for exposure to UV radiation from sunbeds, “because there is no threshold limit of UV-irradiance and UV–dose from any source for the induction of skin cancer”. Harbusch also stressed that the same principle would hold true for drinking water. “One could say that there is strong evidence that drinking too much water, including bottled water, can make you ill. We don’t know the threshold beyond which water consumption becomes risky. 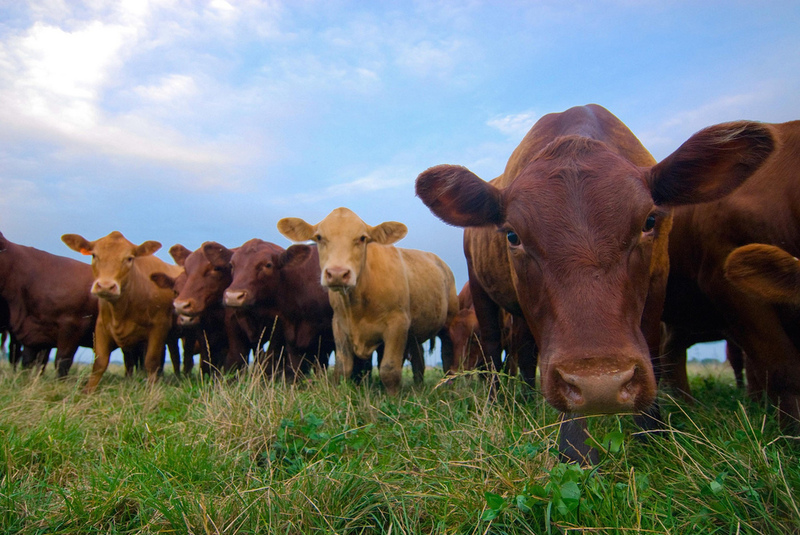 Therefore, there is no safe consumption level for drinking water,” Harbusch said. “One should avoid drinking water by all means due to the precautionary principle,” he concluded. SCENIHR falls under the responsibility of the Commission’s directorate-general for health and food safety (DG Sante). But the regulation of sunbeds comes under two directives, which fall under the watch of the Commission’s justice directorate (DG Justice) – more specifically its Product and Service Safety unit – the Low Voltage Devices Directive (LVD) and the General Product Safety Directive (GPSD). The first directive regulates any kind of electrical equipment within certain voltage limits while the second one basically provides that any product that is in the market needs to be safe for the consumers.